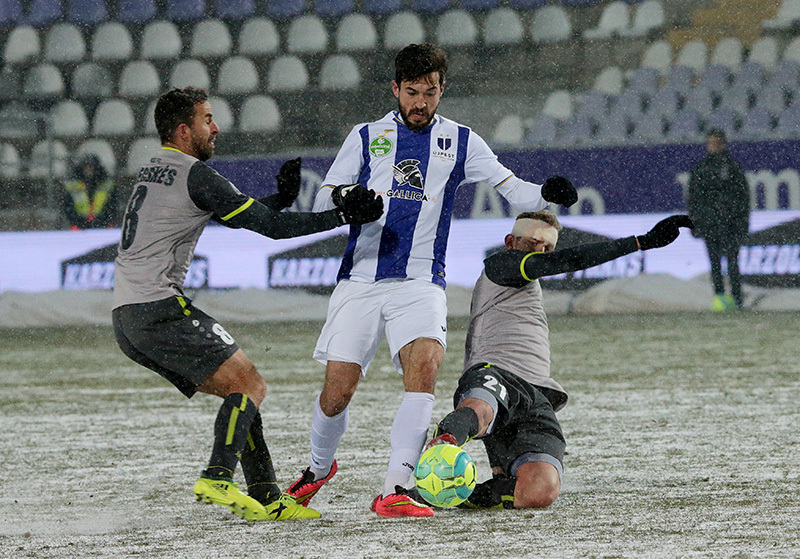 Our technical midfielder’s scores decided on the first game of the Hungarian Cup qualification match to the best eight, but could these scores decide about the qualification? What do you think, besides your outstanding performance, does the team also change in a positive way? We had a good preparation, we won our first championships game, which gave the team a positive push and self-confidence. It is not a secret, you could see yesterday also, we want to win the Hungarian Cup. To achieve this, we would like to bring out the best and the most from each other. How difficult was to do your job at the extreme weather on Tuesday? It is a rare thing to play on this kind of hard soil, I think we could compensate it pretty well. We could use the game style, which is necessary to win. The ball slipped, and it was also hard, furthermore it was really difficult to stand on the pitch, as we wanted. We fought and run until the end and scored goals from those chances, which were made together. How much self-confidence and intrepidity did you get from these two victories for the next fights? It is sure that it is really good for our souls and our self-confidence and at the same time it gives us feedback about our hard work. We should keep these spirit and attitude, which were necessary to win these two games, because we could get power from them later. The most important part of it to fight for every ball, does not matter the price of it. Regardless of our victory against Paks on the first game a really tough rematch waits for us next week. We could easily get into trouble; therefore, it is not allowed for us to build on the result of the first game.